Network Rail’s management of vegetation fails to meet its standard for managing risks or take into account environmental best practice, an official review has found. The report, which was carried out by ‘experienced land manager’ John Varley OBE, was commissioned by the then rail minister, Jo Johnson, after the Guardian raised concerns that the rail infrastructure operator was being over zealous in its approach to tree-cutting. It was published by the Department for Transport (DfT) on Wednesday (28 November) a month after it was presented to the department. Among six recommendations, the report calls for Network Rail to ‘lead a cultural change for valuing nature and the environment’. Although the recommendations also include that, within six months, ‘the Government must set out a clear policy position for Network Rail in terms of delivering for the environment’, the DfT said that Network Rail will develop a plan to address the recommendations over the next 6 months. Transport Network has approached the DfT for clarification as to how it will respond to this specific recommendation. Another recommendation with a six-month deadline for implementation is that ‘appropriate governance must be put in place at organisation, route and project level’. While there are pockets of best practice across the network, the overall approach to vegetation management is reactive and inconsistent. 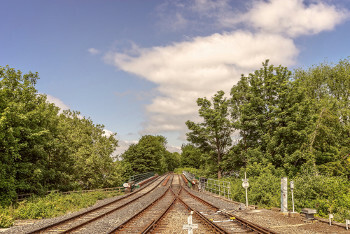 There remains a significant percentage of the rail network which is non-compliant with the Standard in terms of minimising potential hazards from lineside vegetation. Network Rail does not take into account accepted environmental best practice throughout all of its estate. With the right vision, leadership and governance, a new culture could be established that would drive improved outcomes for safety, people and the environment. Network Rail must value and manage its lineside estate as an asset.